The future of medicine will look very different from today thanks to our newfound ability to understand and manipulate living systems in and around our bodies. New targeted therapies, techniques, regenerative medicine, and modes of manipulating the microbial communities in our bodies have the potential to change our definitions of health. 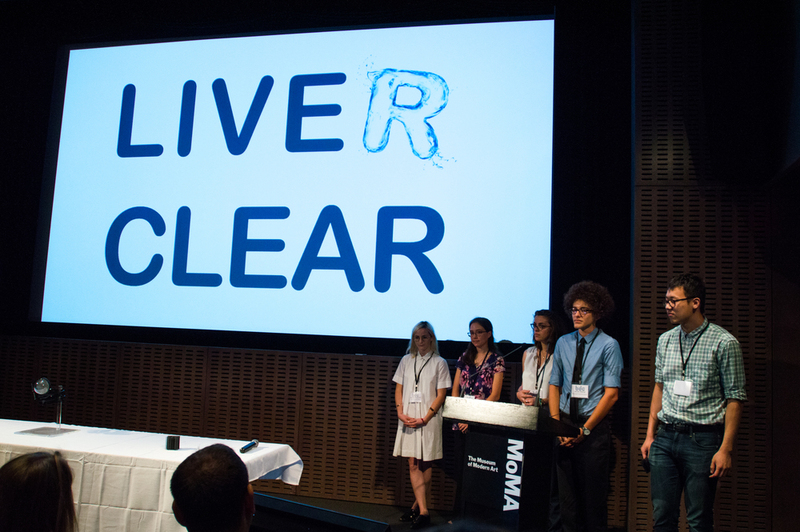 This fall, student design teams at RPI will reimagine the future of health. A living membrane on the surface of toilet bowls, Live(r) Clear traps estrogen and other pharmaceuticals excreted in urine. Today’s sewage systems do not filter these compounds, which end up damaging the aquatic ecosystem in waterways. Live(r) Clear addresses this problem before it enters the municipal pipes. Not just a toothbrush but a healthcare device, Bio Brush’s sensors collect health data while users brush their teeth. Such readings include nutrition, inflammation, and imbalances in the oral microbiome. The devices comes paired with a bioreactor in its base that can produce nutrients and restore a healthy microbiome. Finally, Bio Brushes network their data, providing doctors with real-time epidemiological information. Envisioned as an alternative to pills or transdermal patches, the temporary tattoo both diagnoses vitamin deficiencies and delivers cocktails of nutrients and pharmaceuticals through the skin. LifeInk is a living tattoo made with bioengineered algae that acts as a biosensor, drug producer, and delivery system to the wearer. Designed to last as long as the course of treatment, the algae change color when no longer active. Designed for people living in cities with high air pollution, P.O.D. is closed-loop air filtration mask that uses genetically engineered plants and an aeroponic growing system to deliver fresher air to the wearer. The system doubles as a fashion-forward accessory containing edible microgreens for snacks on the go. Banner image: Michael D. Beckwith, The Leeds Library.